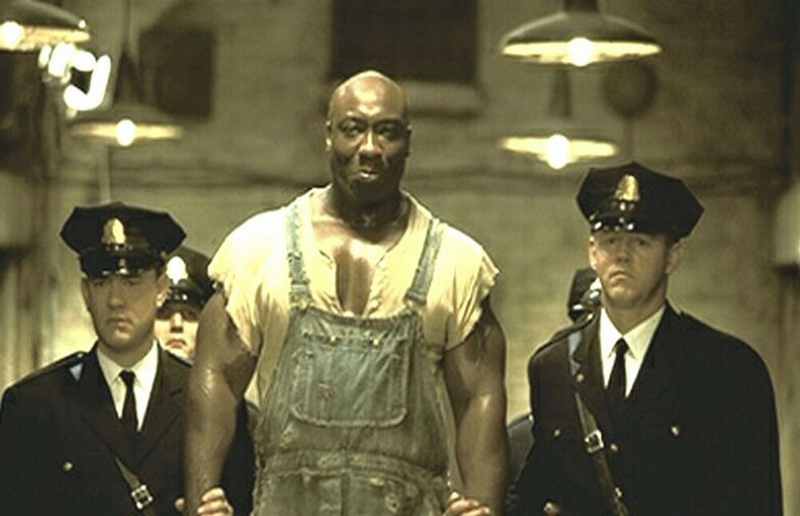 In the film The Green Mile, Tom Hanks, Michael Clarke Duncan, and David Morse played main characters. All of these actors used Realism style acting. I believe the actors were using realism style acting because you could not tell that they were trying to act. The tone of neither their voices, nor their movements seemed to be exaggerated. All of the motions and dialogue of the actors was what one would expect given the scenario. On the other hand, the actors made the audience believe that they were really going through the situations in the film. It imperative that realism acting was used, this helped to show the seriousness of the film, and get the message across as to what was going on, and the affect it had on the characters. For instance the scene where the prison guards took Michael Clarke Duncan’s character to the electric chair, this was a very somber moment and you could see the sadness on the prison guard’s face. This was a very realistic scene, as the prison guards had become friendly and even attached to the prisoner, and did not want him to die. If a stylized approach was used the film would have just been odd. It would have not held the gravity that this film is known for. The actor I would like to focus on is Tom Hanks. To say Mr. Hanks is a versatile actor is an understatement, he has starred in various films, such as: Saving Private Ryan, Forrest Gump, Big, and I could go on, but would eventually run out of time. His roles have been comical, dramatic, and heroic. 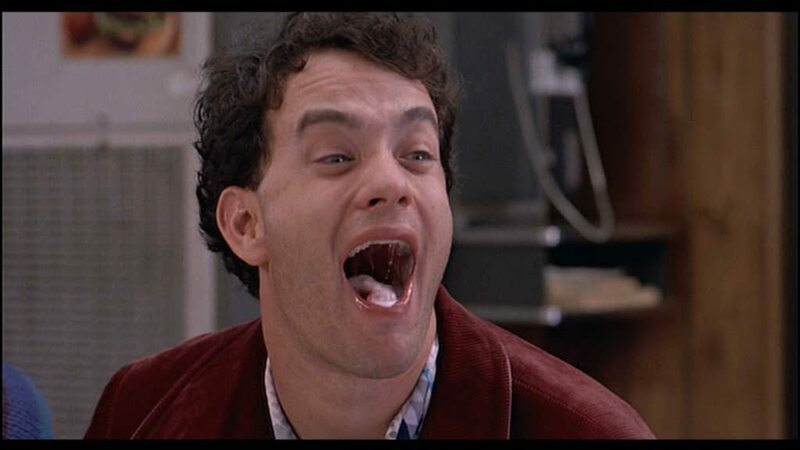 In the movie Big Tom Hanks used stylized acting it was apparent that he was acting. The mood of the film was very light hearted, and the goal was just for the audience to have fun. I do not believe that he would ever be in a predicament that he would be typed casted or stuck in one category. I believe that Mr. Hanks would be classified as an auteur actor; I think at this point in his career he is the one that selects the script and the director. What’s that sound coming from The Green Mile? Dialogue is an essential part of most films, it helps to keep the storing going, and it also ensure the audience knows what is going on and who is who in the film. For most films the dialogue uses common everyday language to ensure the points get across to the viewers. In most cases without dialogue a film would be hard, if not impossible to follow and enjoy. Sound effects are used to bring a realistic and whole feel to a film. The sound effects helps the viewer to have a complete sense of what they are seeing using the sense of hearing. This is important to add to the gravity of the film. A sound effect can be something as quiet as a mouse scurrying across a floor, or something as loud as thunder exploding in the sky during a storm. Music in a film helps to emphasis to the viewer the mood of the particular scene. If the scene depicts a sad event, there is usually somber music playing in the background. It also can help to build up for an event. If there is about to be something scary happening there is usually eerie music that is played to build up the viewer’s anticipation. The music makes the viewer feel more involved and in tune with what is being played out on their screens. 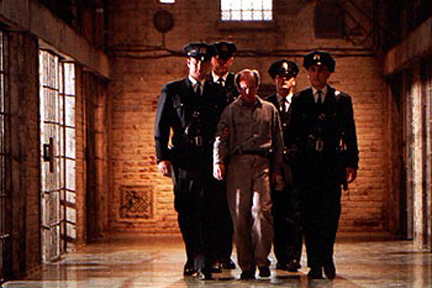 Sound directly impacts the theme of The Green Mile. During the course of the film the sound plays a pivotal role in elaborating on what is taking place. The overall theme of this film is eerie, supernatural, and sad. The tones of the actor’s voices, the music, and the sound effects display these themes. The use of the somber tones of the actor’s voices throughout the movie helps the viewer realize that this movie did not take place during happy times. The actors did not speak in high pitch “happy voices”, but more low serious tones. The music was used to emphasis the mood of a particular scene as well as to build up anticipation of what was to come. The songs that were used in The Green Mile led me to believe that it was a part of the Sci-Fi gender. There were a lot of songs that were played that had an other world kind of feel, as if to warn that something of a supernatural encounter was about to take place. . The music that was played was not something that most people would listen to everyday. At times it made you feel that it was no ordinary events happening and reminded you of an omnipresence. There were also sound effects in this film that could have been identified with the thriller genre. These sound effects made the viewer feel anxiety, as if the viewer was waiting for the other foot to drop. Often during the film the prison guards would walk down the hall and all that could be heard was the click and clack of their shoes. This increased the anticipation as well as gives a vibe of the loneliness and the solitude one may feel while on death row. Overall the sound effects in this film were very realistic. As stated in Film and video Editing, “Yet rain on a wind pane can sound everything from sad to threatening.” (Crittenden, R. 1996). Although rain drops falling on a window pane is a very common sound, it can be used in a context that can bring on an array of different emotions. It was imperative to try to make the sound effects as realistic as possible, so that the viewer would be able to appreciate the deep meaning of the film. There are certain sounds that are expected to be heard in prison, and using realistic sound effects allowed the viewer to almost feel as if they were a part of the movie. If the sound effects had been unrealistic, most viewers would not have taken this film as seriously as it was meant to be interpreted. If any of the key categories of sound would have been replaced, the movie would have not have been as successful as it was. For instance, if the actors spoke in upbeat and cheery tones it would be hard for the viewer to really believe that the actors were working and some living on death row. If the music was an upbeat tune, rock, or rap, the movie would have been viewed as more of a dark comedy. The music would have been conflicting to what was taking place in the film. Also with the side effects if the sound of the guard’s shoes hitting the floor, or the sound of the buzz of the electric chair were not used, the anticipation and thrilling part of the movie would not be as well defined. Crittenden, R. (1996). Film and Video Edting (2nd ed.). New York: Routledge.